Welcome back! There is something special about the first month of a new year. Many of us use the word ‘resolute’ to describe our resolve to get organized, try something new, or make a change. This year I’m focusing on the word ‘opportunity’, as a pathway to uncovering gifts we didn’t know that we have, fostering a connection with people we knew nothing about, and for creating change in ways we never would have expected. It amazes me how a small ‘opportunity’ can hold enough weight to inspire a whole series of possibilities, and maybe even influence positive change in our world. Music is an opportunity for us to grow, connect and influence positive change in the lives of those we know, and can even be a saving grace for those who need it most. By joining together to celebrate the power of music this year, we have the opportunity to showcase how music is an essential part of everyday life. This year I encourage you to join that local band or choir, write the song you’ve always dreamed about, and to sing your heart out during live concerts in your community, and then to tell people about the opportunities music is giving you, so that they too can be inspired to grow, connect and create positive change. 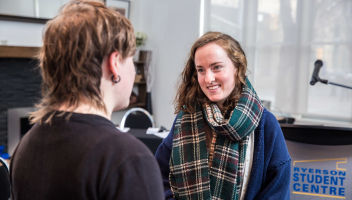 The Joint Consortium of Research (representing the CMEA/ACME and Coalition for Music Education in Canada) invites applications for research funding. Scholars who are researching in Canadian music education are invited to apply for funding support. Up to $5,000 will be targeted annually (budget permitting) to fund such research projects. The deadline for submission is March 1, 2019. The successful applicant(s) will be chosen by May 1, 2018 by a peer jury. JCoR will provide written notification and procedures for the dissemination of funds along with a contract agreement for the project funding. 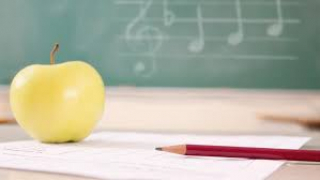 Names of recipients and research descriptions will be published in the Canadian Music Educator journal and will be posted on the CMEC and CMEA/ACME websites. There are still Music Monday Dollars to be won! It’s not too late to win Music Monday Dollars! Register before February 15th to be eligible for $250 to use towards your Music Monday celebrations! Music Monday events come in all shapes and sizes; you could use your prize to hire a guest artist or speaker, to rent equipment or supplies to enhance your celebration, or put it towards bringing your students to a performance or musical activity during the month of May. The sign-up process is simple and quick, so don’t delay! Register today! This year's Music Monday celebration is one not to be missed! The well-known Oscar Peterson song, Hymn To Freedom will connect students, teachers, and citizens from coast to coast to coast, to celebrate music in our schools and communities on Monday, May 6. A bilingual choral version, featuring talented Youth4Music young artists, available on our website! Sign up your school's celebration to receive access to this and more arrangements, to be released soon. Looking to join a Music Monday Special Event? The Coalition will be hosting several special events across the country for schools to join in and celebrate the power of music. Music Monday Dollars are still available to help cover transportation costs. Sign up and don't miss out! 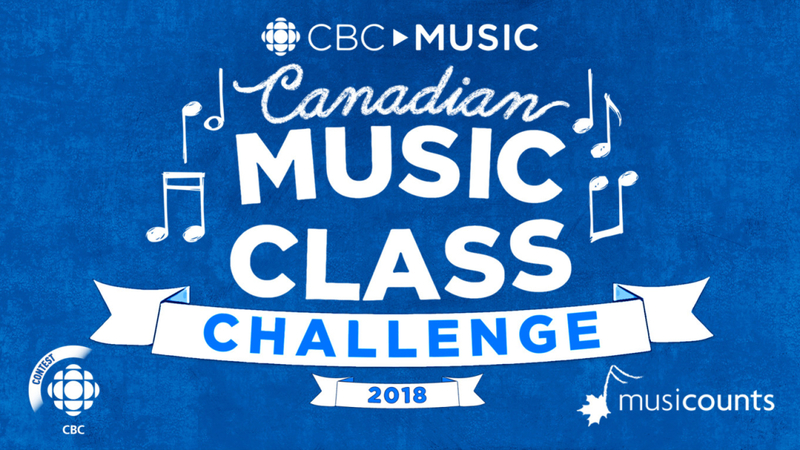 Looking for a way to energize your students and connect with music lovers across Canada? 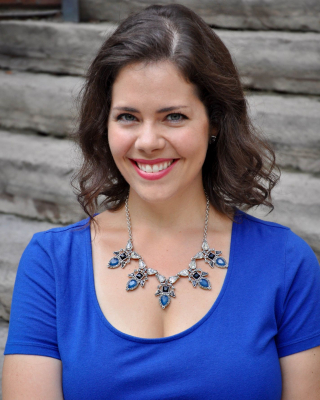 The Coalition invites interested teachers to connect their students through a national pen-pal opportunity! Email musicmonday@coalitioncanada.ca with the number of students in your class, the grade(s) of your students, and the name and address of your school, and we’ll connect you with a suitable group of pen-pals! You can send letters or drawing, connect digitally, or set up a virtual jam session. This is a great way for classes to share their talent and passion for music with students from coast to coast to coast. 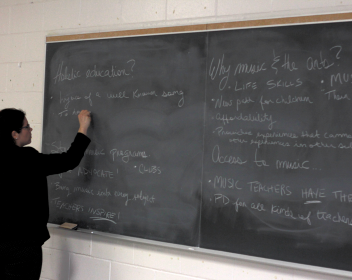 The Coalition is constantly amazed by the creativity of Canadian music teachers. Many thanks to Jennifer in Edmonton for inspiring this project! If you have an idea you’d like to share or a project you’d like to collaborate on, send it to musicmonday@coalitioncanada.ca, and we’ll include it in the “Teacher to Teacher” column. January has been a busy month for Youth4Music! 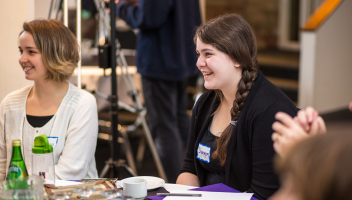 Our Kingston Hub gathered on a Saturday morning for a day full of discussion, sharing, and music making. We were delighted to once again collaborate with the Queen’s University Student Music Educators’ Association, as well as musicians Erez Zobary and Nick Ashmore. 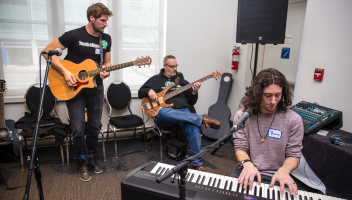 Well-known to Kingston audiences, Erez and Nick kicked off the event with an acoustic set of originals and covers, then treated everyone to a second set after lunch. 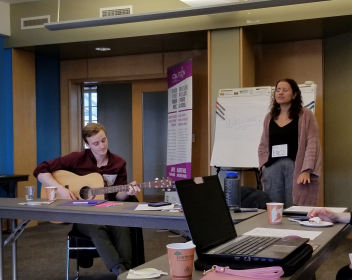 The event, co-hosted by Erez and fellow Youth4Music Ambassador Murray Lefebvre, also included guest speaker Dr. Julia Brook of Queen’s University’s Dan School of Drama and Music and brainstorming sessions about how to advocate for music and music education. A big thanks to our Youth4Music Kingston Hub and to everyone who joined us! 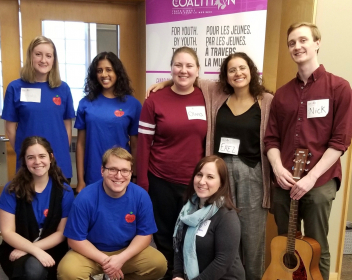 In addition to the Youth4Music event in Kingston, Ashley and Sharon from the Coalition team presented a workshop on music education at the Queen’s Conference on Education. Conference delegates were given the opportunity to discuss advocacy for music education, and to work in small groups to brainstorm music lesson plan activities. Our thanks to all the engaged young educators we met at the conference, and to QCE’s executive team for inviting us to be a part of this event. Do you have an outstanding student who is using music to make a positive impact inside or outside of school? 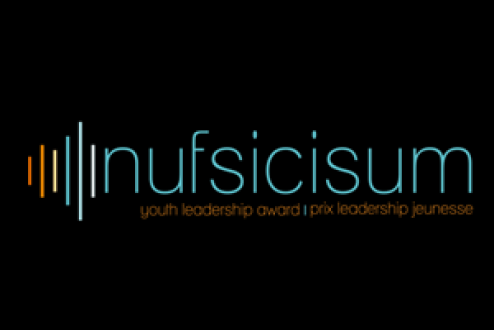 Consider nominating them for our annual NUFSICISUM Youth Leadership Award! The Coalition believes in celebrating and recognizing youth who are making a difference in their schools and communities through music, and we are excited to announce that we will be accepting NUFSICISUM (read it backwards!) nominations from February 1 - March 31. Submitting a nomination is simple: just visit our website and fill out the short nomination form! The Coalition will select five award winners from across the country, to be announced on Music Monday as part of our nationwide celebration of music and music education. There’s nothing better than popping in your earphones and unwinding with some fabulous music, or an inspiring podcast. 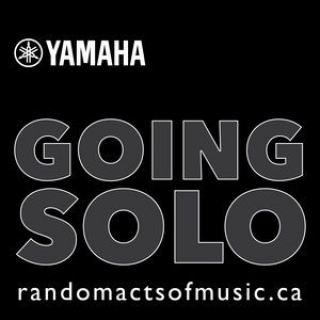 Yamaha’s GOING SOLO series combines the best of both worlds: an interview with one of Canada’s top musicians, accompanied by a live, uncut audio recording of their work. The artists discuss the trials and tribulations of pursuing a music career, give their best pearls of wisdom, and share their stories in their own words. Check it out wherever you get your podcasts, or view the video version here. Congratulations to the winners, and to the many students and teachers who participated in the contest. The enthusiasm and musicianship displayed by these young artists and their school communities is a testament to the important role that music plays in Canadian society. Unsubscribe from receiving future emails from the Coalition for Music Education.